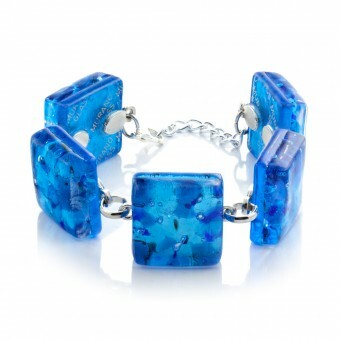 The design of this Murano glass bracelet is inspired by the famous seascape by George Seurat. Capturing the nature of a small fishing port, the artist uses the original painting technique that he had created called "divisionism", or "pointillism". Soft , quiet landscape "Fort Sanson" radiates peace and tranquility. The process of creating unique items from Murano glass has stayed in a traditional form for many centuries and the secrets of the glassblower profession transmitted from father to son. 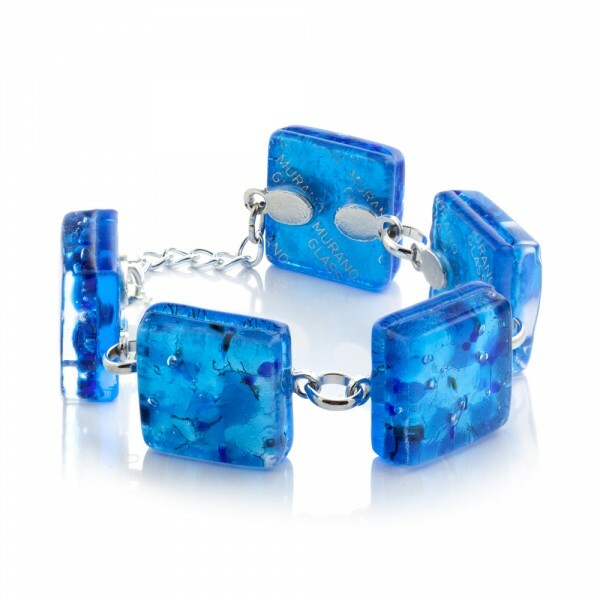 The name comes from the Murano island in the Venetian lagoon, where all the workshops were transferred by the end of thirteenth century. The design may vary slightly from that shown in the photos.